Total running time . . .
(El Dorado Hills, 24 October 2007) Symphonic rock icon Lana Lane proudly announces her new studio album, Red Planet Boulevard. The new album follows Lana's 2005 art rock masterpiece, Lady Macbeth, and her highly acclaimed 2006 classic rock covers album, Gemini. Red Planet Boulevard is a melodic rock album that showcases Lana's legendary vocals with timeless songwriting all produced in a modern symphonic rock environment. The atmosphere of the album is both spacious and grand, soaring melodies and intimate phrases play against lush arrangements of guitar and keyboards, all intertwining in a compelling tango of orchestration that is pure Lana Lane. Recorded in The Netherlands and in San Francisco, California, Red Planet Boulevard combines the feeling of European precision and old world mystery with the Bay Area's legendary style and mood that is pure Northern California magic. The melange of locations shows in the album's production that is both bombastic and moody, clear and heavy, intimate and extroverted. Producer / keyboardist Erik Norlander took on bass guitar duties as well for this release continuing in the role he played on the 2007 Lady Macbeth tour. Long time collaborators, Dutchmen Peer Verschuren (guitar) and Ernst Van Ee (drums), complete the instrumental trio in what Norlander calls "a sort of 'Led Zeppelin' instrumentation where we have guitar, drums and a bass playing keyboardist." The Red Planet Boulevard musician lineup is indeed the most compact to appear on a Lana Lane album, but the trio does not falter in creating the massive symphonic rock sound for which Lana Lane is so well known. Walls of guitars, landscapes of keyboards and tectonic plates of bass and drums drive the arrangements with the energy and exuberance of a band that indeed went straight from the road into the studio. That touring seasoning shows in the subtle complexities of Red Planet Boulevard. This is a band that is experienced and skilled in their craft all supporting a legendary vocalist who is at the top of her game. Twelve all original songs compose Red Planet Boulevard. The heavy rockers "Into the Fire", "Capture the Sun" and "Angels and Magicians" along with the power ballad "Jessica" harken back to Lana's 1995 debut release, Love is an Illusion, while in contrast, the anthemic "Shine", "The Frozen Sea" and "No Tears Left" have a distinctly 21st century sound that fits perfectly with today's iPod generation. The uptempo "Stepford, USA" re-tells the story of the quiet rural town with a dark secret, while "The Sheltering Sorrow" is a heart wrenching ballad that is epic in scale with links back to the late 60s majesty of early symphonic rock. The album concludes with the finale and title track, "Red Planet Boulevard", where themes from each of the album's songs is reprised in a grand orchestral rock style. Artwork is once again provided by Polish surrealist Jacek Yerka who has painted the covers for Lana's many past masterworks. Photos for the album were shot by noted San Francisco photographer Mark Leialoha who brings his own style and vision to the Lana Lane production team. Fans of melodic rock, symphonic style and the amazing female rock voice, your light is green: Make the turn onto Red Planet Boulevard! You can take Pat Benatar, Ann Wilson, and Stevie Nicks; and all things considered, Lana Lane stands in line with all of them as one of the most powerful female voices in rock, if not one of the most powerful voices period. With her latest release, Red Planet Boulevard, her reign as the 'queen of symphonic rock' is expanded beyond the boundaries of progressive rock into in-your-face melodic hard rock territories. Backed with a trio of musicians, guitarist Peer Verschuren, drummer Ernst Van Ee, and of course Erik Norlander on keys, bass guitar, & production; the tight-knit amount of musicians is what makes this record such a great rock and roll album, with no guests, orchestras, string sections, or anything like that, you get what you get, and by no means is this a minimalist approach......Floydian & Zeppelin-esque with a lot of the late period Rush atmosphere mixed in, there also tends to be vibe of highly melodic progressive metal bands such as Seven Tears and Stride thrown in, but nevertheless, the record rocks out where the riffs rule the instrumentation and Lane rules it all. Epic, melodic, grandiose, symphonic, and heavy...characteristics that normally describe just about any release involving Lana Lane and Erik Norlander, and Red Planet Boulevard is certainly no exception........The real star of the show though is of course Lana, whose rich & dramatic vocals have long been one of the best of the hard rock genre......there's less reliance on flash or solos, more on the songs, melodies, and Lana's vocals....... the end result is still a batch of memorable songs with plenty of hooks and muscle. Lana Lane's music is heavier than most progressive-oriented rock, and although there are metallic overtones, it isn't metal. There are powerful rhythms, excellent guitar solos courtesy of Peer Verschuren, and rich keyboard tones provided by Erik Norlander. So it has broad appeal and much to attract listeners from the progressive, the hard rock, and the metal fanbases....With its the bombastic and moody ... grand, soaring melodies, so eloquently described by the presskit, this is a high-quality release and should be heard. When you are a female musician and singer on the Rock and Metal business, it may be difficult to survive. It is the strong hand of time that leaves its mark, and - on a beautiful woman's face and body - it is hard to be ignored. On the other hand, women put aside their career for family so rock n' roll is not a priority. Lana Lane has a different story, with more than 10 years on the symphonic rock scene....Lana Lane gives her voice and talent in a Hard Rock album with heavy sound and great melodic lines that may be simple, but music sometimes is like football; if you play it simple you can achieve your goal...... Go out and get it! 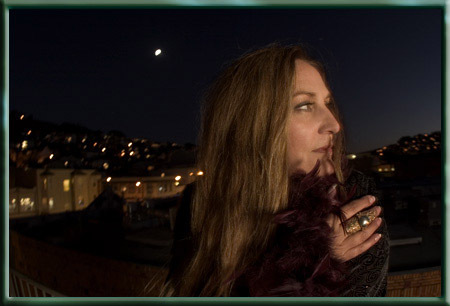 After releasing Gemini in '06, a compilation of cover songs, Lana Lane returns on '07 with a new studio album titled Red Planet Boulevard......Red Planet Boulevard contains 12-songs and pushes towards symphonic rock while subtly representing melodic hard rock...Red Planet Boulevard is encapsulated with sonic tapestries of sound and never falters in pushing the symphonic envelope. Lane's voice glides above the music with a majestic quality lending to the appeal of the overall presentation of songs.....The music features soaring and defined instrumentation that you would expect to find on a Lane/Norlander collaboration. Lana Lane's new disc has a ready and waiting fan base, and it's a large one. And I'm sure the music of Red Planet Boulevard will add a few more to the ranks. While not in any way a progressive rock recording, there are proggy elements incorporated into a few of the tracks that provide for some interesting musical change-ups which will appeal to more than a few in the prog world. My guess is the cross-over quality of Red Planet Boulevard will be received quite well by new and old fans alike.delivered a large and loyal fan base...... As far as how the songs sound, well, while there is a distinct nostalgic vibe happening you don't get the feeling the music is in any way dated. It does sound very modern and up-to-date. Ms. Lane delivers quality heavy rock ala Dio with class and talent. Think of Ann Wilson fronting Dio and you are somewhere near the mark.